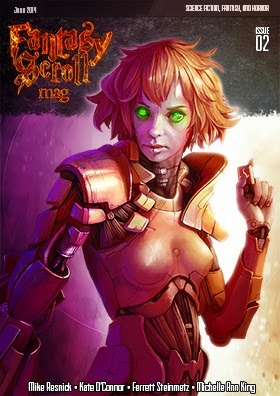 My dark fantasy story 'The Fine Art of Fortune-Telling' which originally appeared in the Orbital Hearts anthology, has been reprinted in the wonderful Fantasy Scroll Magazine, and is now free to read here, alongside an excellent crop of 13 other stories, from the likes of Mike Resnick and Ferrett Steinmetz. It clearly isn’t considered decent to try to duck out of your own mother’s memorial ceremony, especially in favour of a trip to Pizza Express. Even Alan’s tolerance has some limits. In my husband’s world, when your parents die you mark the occasion appropriately. And since I like his world and want to carry on living in it, that’s what I’ve agreed to do. My Strange Horizons story, 'Tomorrow, We'll Go Yak Herding' picked up a couple of nice reviews! Lois Tilton of Locus said: 'At it's heart, a story of comfort between friends' -- which is pretty much exactly spot on (my personal theme when writing this was 'Keep Calm And Phone Your Mates'). And Tangent gave it a Recommended, which was a great thrill. My SF story 'Jump, and I'll Catch You' will be published at Daily Science Fiction on Friday 25th July. You can subscribe to get the stories delivered by email, or read them at the website. This is one of my favourite stories, and I'm thrilled it found such a good home!